I have always struggled with my weight. As a kid I was always a thicker build and super self concious. Throughout high school I got pretty thin but I would purposely skip breakfast and lunch and I’d eat saltine crackers to keep me full throughout the day. Once I got into college and I started dating my husband I started to realize my body shape was nothing to be ashamed of and I learned to love my curves. Unfortunately that also was a huge excuse to stop taking care of myself. Life got busy I never worked out and eating out was a staple because of how “busy” I was all the time. After my second daughter was born I suffered from postpartum depression and anxiety and I used food as a comfort. It was what “calmed me down” and I used it to reward myself especially at night. 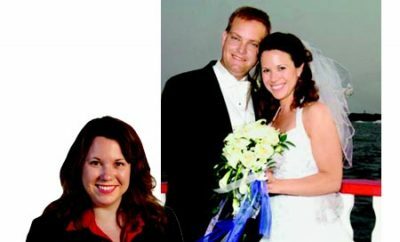 I gained over 30 lbs AFTER my daughter was born which was more than what I had gained with both my pregnancies combined. I was extremely addicted to sugar and caffeine and I finally hit rock bottom in May of 2015. I was the heaviest I had ever been at 242 lbs I felt miserable and I was extremely unhappy with my life. Women. My joints hurt, my feet hurt, I couldn’t stand up without help, I couldn’t breath well most of the time either. Mentally I started having very destructive thoughts. I blamed my family for taking up all my time so I never had any left for me. I started feeling like my husband deserved better and wouldn’t blame him if he has left me. I was extremely short tempered with my kids and was just a mean mom all the time. Spiritually I had given up all hope I couldn’t stand to be around happy positive people it just brought out the fact that I was extremely negative and unhappy. When I hit rock bottom is when I started having thoughts that my family would be better off without me. It was then that I knew I needed help and fast! I was intentionally binge eating and killing myself with my fork! I joined a challenge group hosted on Facebook with 21 day fix and shakeology from Beachbody. 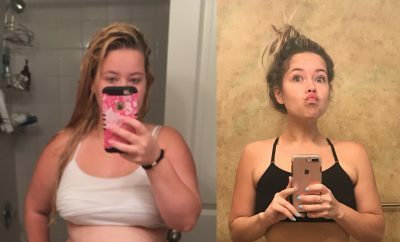 I knew I needed the accountability, I also knew that getting to a gym was pretty much out of the question with our budget and work schedules so at home workouts were what I felt I needed. It literally gave me everything I needed to be successful and I fell in love! 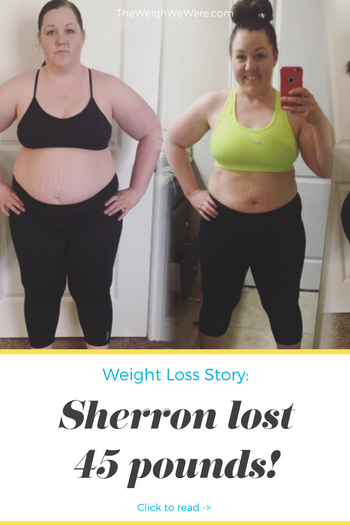 My first week of drinking Shakeology, following the 21 day fix workouts and nutrition plan I lost 4 lbs and 11 inches! I felt better than I had in a really long time and it was enough for me to keep going! I was really worried about overcoming my food addiction. I was extremely addicted to sugar and soda and I knew I needed to give them up. It was such a mental addiction that I struggled big time! I also hadn’t worked out in over 10 years. Physically it was extremely hard and for me and I didn’t love it at all! My mindset was one of the hardest things to overcome. It’s still a struggle even a year later but I’ve learned I need to train my brain just as much as I train my body and it’s helped a ton! About 6 months into my journey I hit a major WeightLoss plateau the holidays came and eating got harder too. It was extremely trusting to feel stuck for so long. 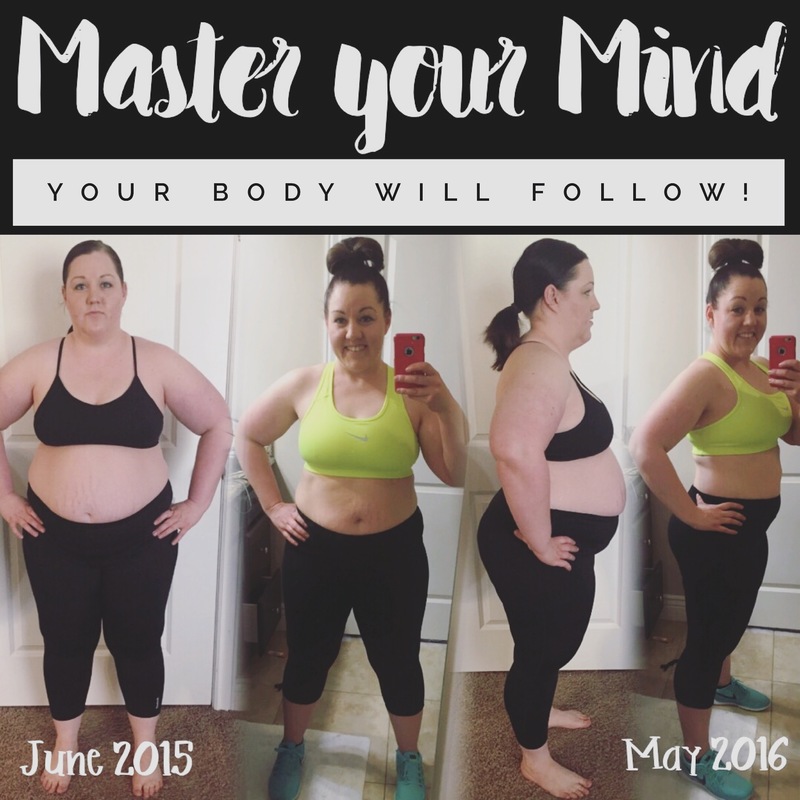 The absolute only reason I haven’t given up was because after a month into my journey I decided to become a Beachbody coach to help keep me accountable. Having that community and support was exactly was I needed to keep going! Yes about 6 months into my journey. I am still overcoming it but I’ve switched up my workouts and dialed in on my nutriention and I’ve seen more improvements the past few weeks! 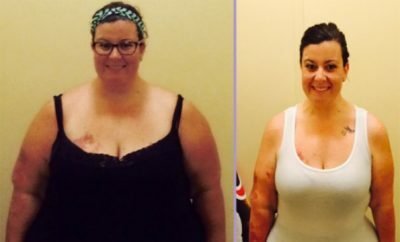 RELATED: Weight Loss Success Stories: Formerly Sedentary Grandmother Loses 63 Pounds! More than I can list! My whole outlook on life has changed, I’m happier, I’m a better mom, wife, daughter and friend. I’ve dropped 6 pants sizes, lost over 12 inches in my stomach alone, and over 80 inches on my body. My digestion has improved, my skin is clearer, I LOVE working out! I’m excited for the future and what life has to offer and I believe in myself! I believe anything is possible and I try to become better every single day! Don’t do it alone! Find a coach, accountability partner, or group that can help you on your journey! Make big and small goals! If you want to loose 100lbs that’s great but it will take time so break it up into smaller more achievable goals that you can work up to! Make small changes every day. Those small almost “meaningless” things add up over time and become BIG things later on! Find a plan that you can stick with for life! Don’t fall into the fad diets and quick fixes. Eat a healthy balanced diet and exercise 30 minutes a day. It’s not about being skinny it’s about being healthy from the inside out! Read personal development! Your mind is a muscle, read, or listen to uplifting, positive and inspiring things to help your mind get through those rough patches! Loosing weight is such a mental game, if you can switch your mindset and learn to get out of your head you will overcome so much! 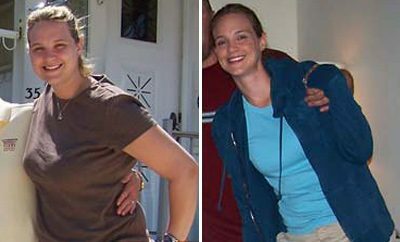 ← Previous Story Learn how Mary Scott dropped 53 pounds right here!